A call by SA Premier Jay Wetherill for Adelaide’s three universities to consider a full or partial amalgamation has been rebuffed. Nevertheless, a proposal from the three universities proposing the creation of a joint research commercialisation company is expected to be sent to the premier shortly. 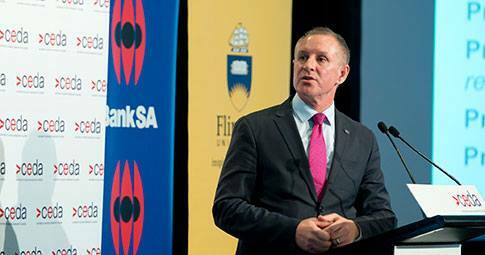 Weatherill has warned the state’s universities are failing to get full commercial value from their research and says a radical option of merging the three institutions must be considered to create jobs and industries. He says “structural reform” of SA’s university sector must be considered to ensure they have the “critical mass” to bring products to market. Wetherill’s call follows the release of the Shaping the Future of SA report, which listed increasing the commercialisation of intellectual property as a key area for action. It proposed merging the business arms of Flinders University, the University of Adelaide and UniSA to make it easier for industry to make use of research discoveries. An Adelaide University spokesperson said all three vice-chancellors support a more collaborative approach to research commercialisation. But she said the idea of merging two or three universities would create a behemoth. Over 80,000 students are enrolled in the three universities. She also noted that Adelaide’s status and ranking on various university league tables would be seriously compromised by any merger. 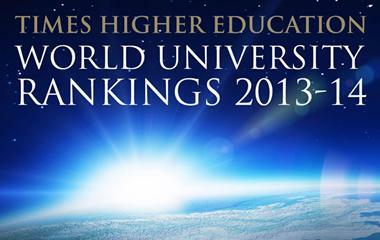 In this week’s Academic Ranking of World Universities, Adelaide was ranked at 184. Flinders was 378 while UniSA did not make the top 500. Michael Barber, head of Flinders University, said a merger at this time would not be of any benefit, although there were ongoing talks between the three on how to better commercialise research. “A merger at this time will not reap a cost benefit and is highly problematic with the potential to distract us from being competitive,” he said in a statement. David Lloyd, vice-chancellor of UniSA, appeared more open to the idea but said there needed to be clear reasons to engage in any real consideration of the idea. A proposal two years ago for a merger between Adelaide University and the University of South Australia was similarly rebuffed as too expensive, with the likely costs outweighing the benefits – and opposed by Wetherill himself. Australia’s leading universities have generally gone backwards in the Times Higher Education rankings, which has been attributed to funding cuts announced by the previous government. The rankings are derived from a survey based on 13 performance indicators, across five areas, ranging from teaching and research to international outlook. The University of Melbourne remains the highest ranked Australian university but fell six places from 28 to 34 while Australian National University dropped 11 places from 37 to 48. The negative trend saw Sydney fall 10 places, the University of NSW down 22 places and Adelaide drop out of the top 200. The winners were the University of Queensland, which moved up two places to 63, Monash (up 8 to 91) and the University of Western Australia, which leapt 22 places to 168. 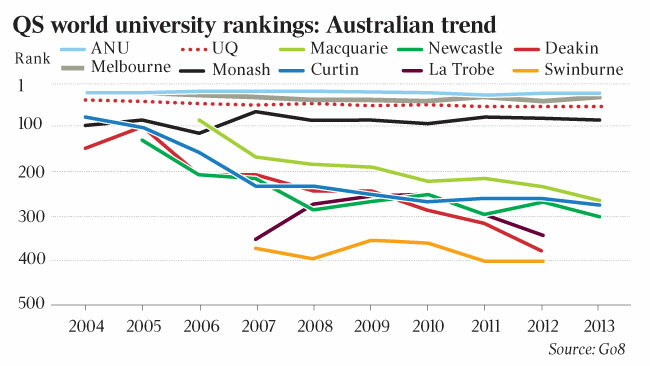 Times Higher Education rankings editor Phil Baty observed that Australia had “fallen back to earth with a bump” this year in the table. Baty said the results are alarming because the $2.3 billion cuts to the university sector, announced by the Gillard government before the election are yet to be fully felt. He says the new Abbott Government has not indicated it is looking to reverse any of the cuts and its attitude to arts and humanities in particular is also worrying. Australia risks losing a really strong position in the Asia-Pacific region because it lacks enthusiasm at government level for its universities. Melbourne University vice-chancellor Glyn Davis says the dramatic change is not so much a consequence of budget cuts, but the perception internationally that local universities have been seriously compromised by the announced cuts. The ranking is a bit like a stockmarket. How companies are valued is a curious combination of their real performance and market confidence in them. This appears to be the case here; that negative media reports overseas of very substantial funding cuts to the sector by the previous government have played out in the reputation indexes, dragging down institutions. Rankings expert Simon Marginson, who is on the advisory board of the World University Ranking, reflects a common concern with the THE rankings, saying such reputation surveys are highly volatile and do not reflect “changes in the real world”. To base a university ranking on opinion surveys is like asking a group of people to guess the distance between the earth and the sun and using the average guess to determine the distance. It wouldn’t be very good astrophysics and it isn’t very good social science of higher education either. The 2014 Quacquarelli Symonds (QS) World University Rankings show that while the majority of Australian universities have slipped on the ladder of the world’s leading institutions, seven still in rank in the world top 100 and twenty universities – half of the entire system – make the top 400.The top universities in Australia were: ANU at 27 (down 3 places from last year), Melbourne, (31, up 5 places) Sydney (38, up 1 place), University of Queensland (43, up 3), University of NSW (52, steady) Monash (=69, down 8 places) and the University of Western Australia (84, down 5 places)…..[ READ MORE ]…. Deakin and Monash universities are proposing to establish a network of regional medical training centres in Victoria in a direct challenge to rival plans from La Trobe and Charles Sturt for a new regional medical school, the Murray-Darling Medical School. They are seeking $15 million in federal government capital funding to upgrade facilities at Geelong and Bendigo in order to provide more regionally based training places for medical specialists and general practitioners. Small training centres would also be established at Warrnambool, Hamilton, Ballarat, Horsham, Colac, Mildura, Castlemaine, Traralgon and Bairnsdale…..[ READ MORE ]…. Margaret Sheil, the former head of the Australian Research Council and now provost at the University of Melbourne – a person you would expect to have a sound understanding of both the value and the cost of research – says that contrary to views within the incoming Coalition government, there’s little evidence of “fringe or wasteful” research. 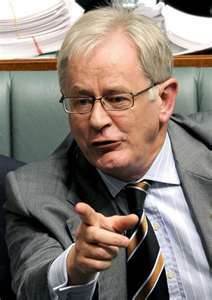 According to Sheil, the ARC grants process is highly detailed and accountable – a proposition that Coalition finance spokesperson Andrew Robb has seemed to agree with at the same time as decrying fringe research. He has said he is “appalled at the amount of time established researchers have to spend simply applying for grants.”…. [ READ MORE ]…. The Queensland government has given the green light to the merger of Central Queensland University (CQU) and Central Queensland Institute of TAFE to create Australia’s sixth dual sector university, spanning both higher education and vocational education and training. CQU vice-chancellor Scott Bowman says the decision will change the face of post-school education and training in the central Queensland region…..[ READ MORE ]…. 8 September 2013 | This wasn’t an election in which education was a key issue and tertiary education hardly figured at all. Here’s a collage of Scan articles over the past year or so touching on the Coalition’s approach to tertiary education, which provide assort of compass to the horizon…. [ READ MORE ]…. Australian university vice-chancellors, as well as lobby groups for the schools and TAFE sectors, have called on newly-elected Prime Minister Tony Abbott to focus strongly on education. Among the policies announced during the election campaign were a New Colombo Plan to boost foreign study in Asia, a review of the national schools curriculum, a greater emphasis on science and languages in teaching and research, and maintaining the increased funding promised by the previous government under the Better Schools scheme. The latter however will apply only for four years rather than six…. [ READ MORE ]….. The Australian Technology Network of Universities (ATN) says it looks forward to working with an incoming Abbott Government to ensure universities are central to the ‘open for business’ agenda of the Coalition Government…. [ READ MORE ]…. The election of the Coalition government means, on the face of it, not a lot of change in the direction of higher education. In setting out the “seven pillars” of the Coalition’s higher education policy earlier this year, prime minister-designate Tony Abbott indicated there would be nothing new (including money), except the New Colombo Scheme, but he did promise “stability”. The Coalition education spokesperson (and presumably soon to be minister) has said the demand-driven will remain and that a Coalition government would not be fiddling with fees. Analysts quoted in The Australian appear agreed that the level of fees will certainly be on the table but, for the moment, that’s all speculation. A “commission of audit” into government finances is to report by year’s end, n order to assist the new government frame its first budget. So we don’t expect any certainty until May next year. In this opinion piece published in The Conversation, Griffith University’s Tony Shiel rummages through the entrails and, while generally optimistic, concludes there will be cuts and there will be some redirection of funding, give, for example, the apparent disdain with which senior members of the incoming government view some research in the humanities and social sciences. Now is the time to stop campaigning and start governing. 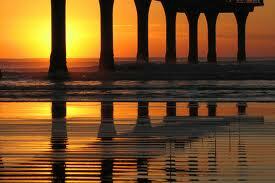 With the burden of office comes a sense of pragmatism. People behave differently once off the campaign trail – not immediately, but usually over the long term. The incoming education minister, presumably Christopher Pyne with the possible support of Brett Mason in the higher education and research portfolio, will come to one immediate conclusion. On balance, they have inherited a portfolio in good health. Under the previous Coalition government support for research and development in Australia as a proportion of GDP grew from around 1.5% in 2002 to almost 2.0% in 2007. Continued support under Labor saw that proportion move upwards over 2.2% edging closer to the OECD average which is around 2.3%. For Australian research, the decade since 2002 has been kind with progressive increases in funding for people and projects, infrastructure and equipment. This has propelled 19 Australian universities into the Academic Ranking of World Universities top 500 and five into the top 100. This was helped by the additional funds created by expanding student places, which in turn led to a greater capacity to undertake more research. For this they should thank their predecessors as far back as Coalition education ministers David Kemp and Brendan Nelson who gave us the Backing Australia’s Ability and Backing Australia’s Future innovation plans, former Liberal higher education minister Julie Bishop who brought us the Higher Education Endowment Fund, former Labor prime minister Julia Gillard for the uncapping of student places and the former Labor higher education minister Kim Carr for his commitment to senior, mid and early career fellowships plus Higher Degree Research scholarships. The prime minister-elect also deserves an honourable mention here for his commitment as health minister to doubling the National Health and Medical Research Council budget. No government would want to undo these accomplishments, especially when their own Coalition predecessors, including the incoming prime minster and foreign minister, were largely responsible. But there will be cuts and there will be some redirection of funding. Those engaged in medical research and big science will be feeling more comfortable than colleagues in the humanities, arts and social sciences who might be entering a difficult period. 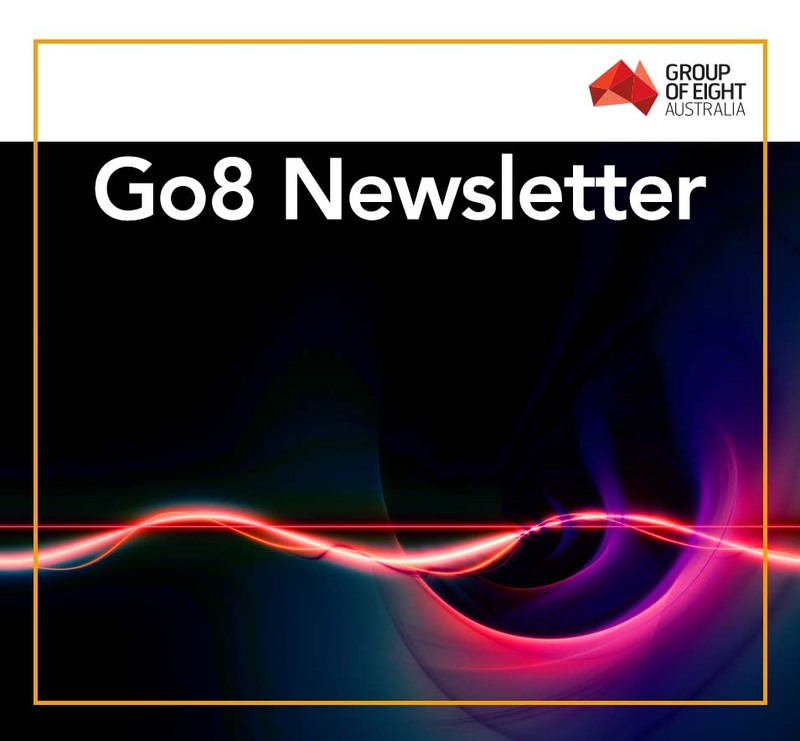 Tertiary sector analyst Gavin Moodie (RMIT) says that the three big ideas for higher education in the last term of government came not from Labor but from the Liberals, through Andrew Robb as opposition spokesman on finance. The first big idea is that there is no reason why Australian educators couldn’t teach 10 million international students in a decade. Robb said the demand would be driven by Asia’s rising middle classes. Robb’s second proposal, related to the first, is that Australian universities and TAFEs could team up with internet giants such as Google to roll out online platforms to teach Asia’s millions. The third potentially big idea is the auditing of research grants. This was proposed most recently in the Coalition’s policy released just before the election by Jamie Briggs, chairman of the Coalition’s scrutiny of government waste committee. But this, too, originated from Robb. Late last year he criticised as wasteful grants from the Australian Research Council in medieval history, Renaissance history, literature and ethics. He proposed a process to “weed out the unjustifiable in order to support the genuinely meaningful”. Perhaps in anticipation of post-election fee increases, the National Tertiary Education Union (NTEU) has launched the My Student Debt website, complete with a national calculator, to highlight ballooning student HELP (HECS) debt. Australian students have accumulated debt from their university study of over $34 billion and the NTEU estimates that outstanding HELP debt is increasing by $500,000 an hour or $12 million a day. We haven’t run any good news for ages. The good news section celebrates the achievements and contributions of our tertiary education and training institutions, their staff and their students. This item was first published in August 2012 but now has a video clip link added. Teachabout is an organisation set up by University of Melbourne students and ex-students to run school holiday programs for children in remote communities. It was established in 2010, with funding from the university and the Cybec Foundation charitable fund, by a group of students from Melbourne University’s Trinity College who had visited Minyerri in the Northern Territory the previous year. But the Teachabout people wanted the program to be more than just a boredom cure. So our program has a twist…We incorporate literacy and numeracy into fun, engaging activities with a fundamental commitment to community involvement and cultural activities. Our aim is to contribute to a brighter education future for kids in remote communities. If you have a good story to tell, send it to us – brendan@interadvisory.com.au . 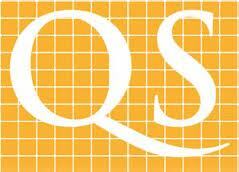 The 2014 Quacquarelli Symonds (QS) World University Rankings show that while the majority of Australian universities have slipped on the ladder of the world’s leading institutions, seven still rank in the world top 100 and twenty universities – half of the entire system – make the top 400. The top universities in Australia were: ANU at 27 (down 3 places from last year), Melbourne, (31, up 5 places) Sydney (38, up 1 place), University of Queensland (43, up 3), University of NSW (52, steady) Monash (=69, down 8 places) and the University of Western Australia (84, down 5 places). Other well-ranked universities that experienced big falls were Macquarie, down 30 places to 263, RMIT, down 45 to 291 and Newcastle, down 30 to 298. Analysis of the rankings shows that with the exception of Group of Eight institutions, all other local contenders have lost ground dramatically since it was introduced in 2004. 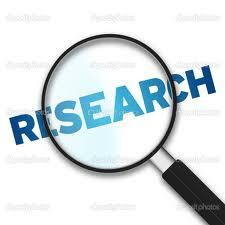 My rule of thumb has been that the top 200-250 in any rankings encompass the research-intensive universities around the world. Apart from the Go8, no other Australian institutions make it into the top 250. The gap between the lowest placed Go8 member – the University of Adelaide at 104 – and the next local university, Macquarie at 263, is 159 places. The overall downward trend was more a factor of many more universities being included in the ranking and increased competition for top 200 places, especially from institutions in Europe, Field said. MIT beat Harvard and Cambridge to retain the top spot. The US took 11 of the top 20 positions. However, the UK claimed three of the top five spots, with Cambridge joined by the University College London ranked at number four and Imperial College London at number five. This is The Australian‘s own summary of lead items in its online edition. As this is a subscription service, you or your organisation will need to have a subscription to The Australian to view the full article. Andrew Trounson A RE-ELECTED Labor government will make greater use of direct agreements with universities. Bernard Lane TWO rather different authors are responsible for the Spanish economist Ramon Tamames turning his omnivorous curiosity towards Australia. Bernard Lane LABOR’S belated offer of a high level council and strategy for international education is “too little, too late,” says Phil Honeywood. Kylar Loukissian CONFUSION with course cuts at the University of Adelaide’s humanities faculty has one academic describing the atmosphere as “poisonous”. John Ross FEDERAL Labor will not say whether Kevin Rudd’s intervention in TAFE constitutes an 11th-hour conversion on training markets. WADING through the waffle and rhetoric of Labor’s so-called innovation plan is the mental equivalent of swimming in quicksand. It doesn’t go anywhere but down. It’s mostly an ad hoc jumble of random thoughts pulled together under the guise of innovation. But there is one thing this policy isn’t and that is innovative. John Ross VOCATIONAL training has become an integral part of the campaign. The University of Adelaide has opened its new $100 million science and research building, The Braggs, named after two of its greatest alumni, 1915 Nobel Laureates Sir William Henry Bragg and his son, Sir William Lawrence Bragg. The building houses the University’s world-leading Institute for Photonics and Advanced Sensing (IPAS) and other learning and research facilities. The Braggs, funded in part with a $29 million grant from the Commonwealth government, will house more than 10,000 square metres of research and teaching space, as well as state-of-the-art laboratories. Minister for innovation Senator Kim Carr said The Braggs is a fitting home for IPAS researchers. Here we have outstanding researchers, led by an outstanding scientific leader in Professor Tanya Monro, working across disciplines on projects whose applications are endless. It follows that their headquarters is a state-of-the-art building, the likes of which this country has not seen before. IPAS scientists work with photonics and soft glass optical fibre to improve measurement and sensing technology. 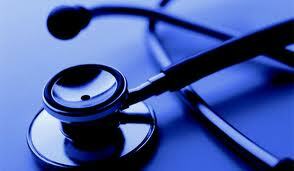 This has direct applications in fields from defence and manufacturing, to health and the environment. Current projects include a new sensor to detect early-stage gastric cancer, and optical fibres that identify corrosion in military planes. The institute was established to build on the success of the university’s Centre for Expertise in Photonics research into the generation and control of light. This is Campus Review’s own summary of lead items in its online edition. As Campus Review is a subscription service, you or your organisation need to have a subscription to Campus Review to view the full article. All non subscribers to Campus Review can have access to a free online trial offer provides free online access to the website for 28 days. Using more than 8000 weather stations around the world and analysing data going back to 1900, researchers from the universities of Adelaide, NSW and the Victoria (Canada) have found a link between global warming and an increase in extreme rainfall. Lead author Dr Seth Westra, a senior lecturer at the University of Adelaide school of civil, environmental, and mining engineering, said rainfall extremes were increasing over the period studied, 1900 to 2009, and this was linked to a one-degree rise in atmospheric temperature during this period. Men still dominate in the field of engineering, with women making up only 15.8 per cent of enrolments in engineering courses at Australian universities in 2010, says the latest Engineers Australia report. For public providers to compete with private operators they will have to adopt new teaching methods and embrace online tools, according to Michael O’Loughlin, CEO of Wodonga TAFE . The training for people who work in remote areas needs to focus on lifestyle issues as well as skills. Regular and comprehensive audits of university research are now a fixture following the announcement last week by Tertiary Education Minister Chris Evans that there would be a third round of the Excellence in Research in Australia (ERA) process. The Prime Minister’s Asian Century White Paper aims for our school system to be in the world’s top five by 2025, but expectations in our curriculum do not support this goal. To reach the top, we should follow the example set by the United Kingdom and deliberately benchmark what our kids learn against the world’s best. Rarely do universities come up with a good strategic plan. But the University of Adelaide has just broken the mould and released one which hits the mark. New home building may be in the doldrums but university accommodation projects are galloping ahead. Tertiary education providers hard hit by the international student downturn have called on the government to keep its pledge to extend simplified visa processing to low-risk private providers and TAFEs by the end of the year. Students couldn’t care less about the size of their bathroom but unlimited access to high-speed internet, convenience and safety are top priorities. 2012 began with the first viral MOOC, a massive open online course, which spooked higher education institutions. Twelve months later major universities from Harvard to MIT are involved with MOOCs and their potential to revolutionise higher education, and upturn the structure of universities, is obvious. US massive open online course (MOOC) provider Coursera has appointed University of Melbourne provost Margaret Sheil to sit on its inaugural advisory board. This is the last edition of The Australian Financial Review’s Monday Education section for 2012. We wish readers a happy holiday season and a restful break. The Education section will resume publication on Monday February 4, 2013. The Queensland Government has given final approval to merging Central Queensland University with Central Queensland Institute of TAFE to create Australia’s newest dual sector university. The University of Adelaide’s new 10-year strategic plan Beacon of Enlightenment signals what the university describes as a “fundamental paradigm shift towards smaller classes, and delivering a premium student experience”. In launching the plan vice-chancellor Warren Bebbington committed the university to “transformation rather than growth” and pointed to the alternative drift towards massive enrolments and `dumbed-down’ content over the past 20 years in Australian and UK universities and the subsequent risk to quality higher education. The ideal of the modern university, the union of teaching and research has been lost. The highlight was individual discovery, but research is now almost absent from undergraduate courses. 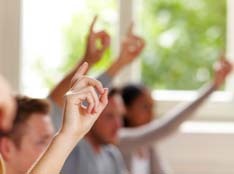 Under the Plan, from 2013 every University of Adelaide course will move towards “small-group discovery,” in which all students will gain skills of analysis, criticism, expert search and written communications essential to independent enquiry. For the highest-achieving students, every Faculty will offer an Advanced Bachelor program, featuring independent research work from the start. The univesity will also treble expenditure on digital and online learning support, which it says all students now expect. Where content can be delivered online with pedagogic integrity, it will be. [But] Adelaide will remain a campus university, for the scholarship of discovery involves personalised learning which happen best face-to-face. Other aspects of the plan provide for a massive increase in work experience and in study abroad, with all students expected to take at least one of these. Travel grants will be introduced to help with the costs of going abroad, to “prepare students for global citizenship in a near border less world”. There is a groundswell of support for having at least one Group of Eight university abandon endless growth and return to the teaching/research ideal of the modern university.